Frank Berkman: Mom and me versus you and Dad. Q: What is it that Frank coughs up after getting drunk? Q: What is the picture that Frank masturbates to? The opening scene hits us with a bunch of characters who are so unlikeable that you may wonder what's the point in watching their lives for 81 minutes. In hindsight, and after watching the DVD interview with writer/director Noah Baumbach, I'm sure this was deliberate. 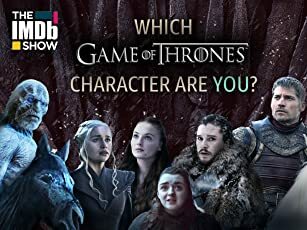 By disliking (or rather disconnecting from) the characters at the outset, the audience can take a more objective, emotionless view of this dysfunctional family--much the same way the family approaches itself. So don't expect many weepy scenes where you say to yourself, "I feel exactly like that character!" Because unless you're an egotistical snob of a father who ironically swears like a common sailor at his kids, or unless you're the cluelessly devoted son who parrots everything the father says, or the passive-aggressive mother who has affairs rather than confront her marital problems, or the younger son who seems pretty cool until he inexplicably starts doing disgusting things in the library (and I mean disgusting! ), then I don't think you'll immediately associate with any character in the film. Not the way you might in a standard Hollywood crowd pleaser. If you can make it past that, "The Squid and the Whale" becomes a thoroughly engaging, entertaining, and at times funny experience. It kept me riveted from start to finish, and I found myself wishing it had been longer. A word about the humor: don't expect any big gags. In fact, in the interview Noah talks about how he had to tell the actors *not* to read their lines as if they're funny. He didn't intend it to be a comedy, but still (owing largely to the fantastic deadpan performances by Jeff Daniels & Jesse Eisenberg) you might find yourself cracking up at how plain bizarre everything is. 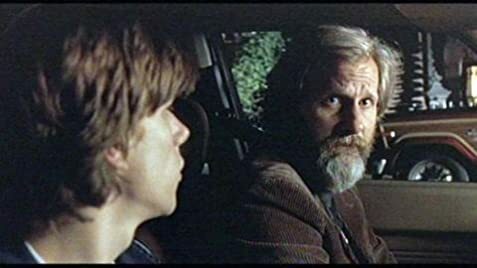 Jeff Daniels (the father) in particular plays such a satirical caricature of a horrible parent that there's no other way to interpret his character than: a clown. Something that has to be mentioned is the setting & time period of this film. Brooklyn 1986. Although I'm not a Brooklynite, I can speak as an 80s kid who loved all the minor references... clothes, hairstyles, Burger King collectible glasses at the dinner table, and the music! They picked a few gems I probably haven't heard since '86. All of this adds tremendous authenticity to the story and takes you on a sort of fantasy ride. It's hard to believe they got 21st century Brooklyn to look like 1986 on a small indie budget of $1.5 million, but I thought it was flawless. On a filmmaking level, I noticed some cute nods to the French New Wave school of film (handheld cameras swinging back & forth for jarring effect à la "Jules & Jim" by Truffaut) and a general Godard-ish, brooding vibe to the whole presentation while not afraid to show bright, vibrant scenes. Whether or not you're a fan of New Wave, if you like unconventional camera work you'll probably get a kick out of Noah's approach. Film I would compare this to are the excellent "City Island" which is on the lighter side, "The Savages" which is on the darker side, and "The Beaver" which is on the mildly psychotic side. Don't hesitate to see any one of them if you get the chance.